Reply 'Mr Mill'. Brief advice on exercise and diet for ailments which chiefly consist of 'lowness of spirits'. Summary Reply 'Mr Mill'. Brief advice on exercise and diet for ailments which chiefly consist of 'lowness of spirits'. 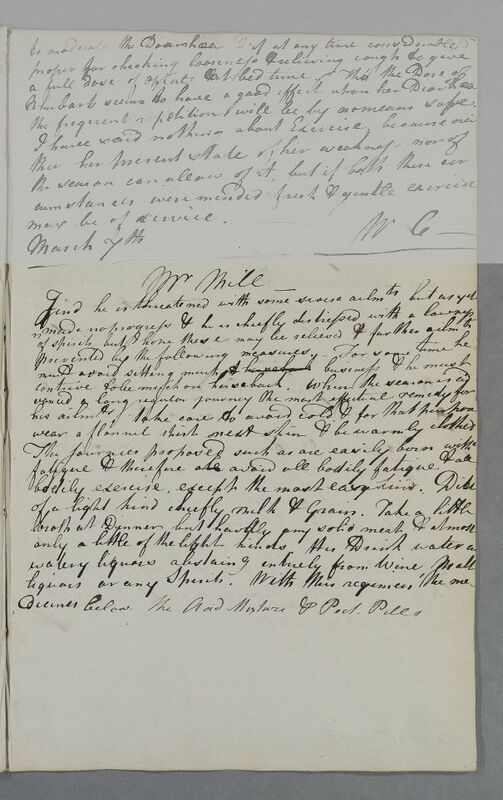 Case of Mr James Mill who is given a regimen in the winter of 1775 who is tentatively identified as the the same patient reporting a nervous disorder followed by a virulent venereal infection in 1778.